This week two years ago Mother was snatched from our world just five days after her 96th birthday. Late on a Monday evening, July 28, 2014, she was transported into a new and better land. Mother lived on a dairy farm in the Manheim – Lititz area of Pennsylvania. When she married my father Ray, she moved about 12 miles west, still in Lancaster County. Like many Mennonite couples in the 1940s, they honeymooned in Niagara Falls, New York, where I most likely was conceived. When my sisters and I studied at Eastern Mennonite College, she and daddy drove to Harrisonburg, Virginia several times, back then a four-hour drive to the Shenandoah Valley. “My, look at the mountains in the distance – so pretty,” she said. Mother seemed happy to be a homebody. 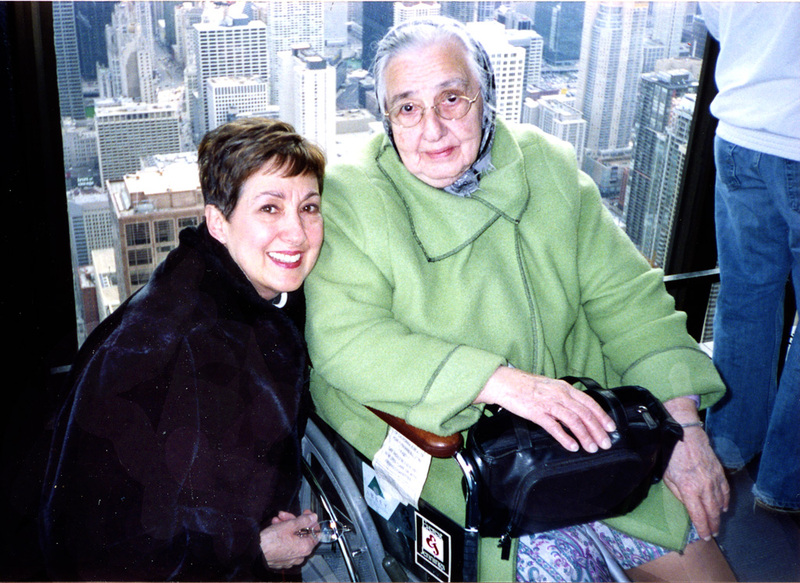 She never seemed curious about seeing world capitals as her daughters were. Traveling around the United States in five weeks with a friend as I did once would seem incomprehensible to her. “Why would I want to do that?” I can hear her say. But when her first great grandsons were born seven weeks apart in 2003, I was able to goad her to fly to Chicago where our son and daughter lived. Viewing the city from the Hancock Building, she sat in awe at the vast expanse of skyscrapers. These photos recall pleasant memories and now re-confirm in my heart and mind her citizenship in a heavenly world. In her life on earth, she was confident she would one day live in a Beautiful City full of brilliant light and everlasting joy. For s/he looked for a city, which hath foundations, whose builder and maker is God. Mother often sang about heaven at the top of her lungs in front of the kitchen stove, making breakfast for her children before school. Her voice, always off key, sang about a beautiful city I imagine she could visualize as she scrambled eggs with shakes of pepper and filled cups with cocoa, each with a dollop of butter. Though I don’t share your belief in Heaven, I do hope your mother is there, and that it’s a beautiful city filled with light and love–and that she’s looking down on you, smiling, and perhaps singing, a bit off-key. I enjoy your beginning our conversations here every Wednesday. Thanks, Merril. “Love-by-words” – a phrase I’ll hang on to. Thanks, Pamela! What a lovely tribute to your dear mother. You were blessed to have her so long in your life. I know she is in a beautiful place right now and happy. I love the picture of her and her great grandson. So precious. From my line-up of family albums, I could not find # 15 to save my life. It surfaced a few weeks ago and as I leafed through it before it was boxed up, I noticed these photos. They became a “bingo” for this second anniversary. I’m glad this resonated with you, Darlene. And, yes, I know how fortunate I have been. Thanks! It is interesting how things show up when we need them! Such a beautiful tribute to your sweet mother, Marian. She certainly lived a blessed life with so many who loved her. Friends and family were tops on her list. I know she missed her friends as one by one they passed on. Her life proves that a simple life can be a blessed one. Thanks for pointing this out, Jill. I feel love and grief in every word. I’m listening to the music, looking at that amazing photo of your mother looking over Chicago from the Hancock Building. My guess is that neither you nor your mother were thinking about heaven when you took that picture. These collages you are making of old photos, online music, and new realities (loss of your mother) are powerful testimonies to the human ability to continue to create and to see, feel, and hear anew. Like you, I feel the divine beginning and ending in this process. So glad to have met your dear mother through these posts about her. A lovely tribute to your dear mother, Marian. Though I’m sure you miss her greatly I am equally certain that missing is bittersweet as you contemplate her now at home filled with joy unspeakable. Bittersweet is the perfect word to describe our loss. After all, she lived a long and happy life and I know she is in a better place now. Thanks, Linda. Me neither and as time goes on, I look forward to less and less. Very good memories, Marian. We often think about our Mothers since they are gone. We both have “precious memories”. I picture your mother now, Shirley. Often you honor her memory by posting on Facebook: I notice and appreciate. It was a very cold January evening the night before my mom passed away. Our son-in-law brought her home from the hospital where she’d spent the day. It was hoar frost and all the trees were glittering. My mom said, “heaven must be this beautiful!” God gave her a glimpse of what was to come! Thanks for sharing about your mom. 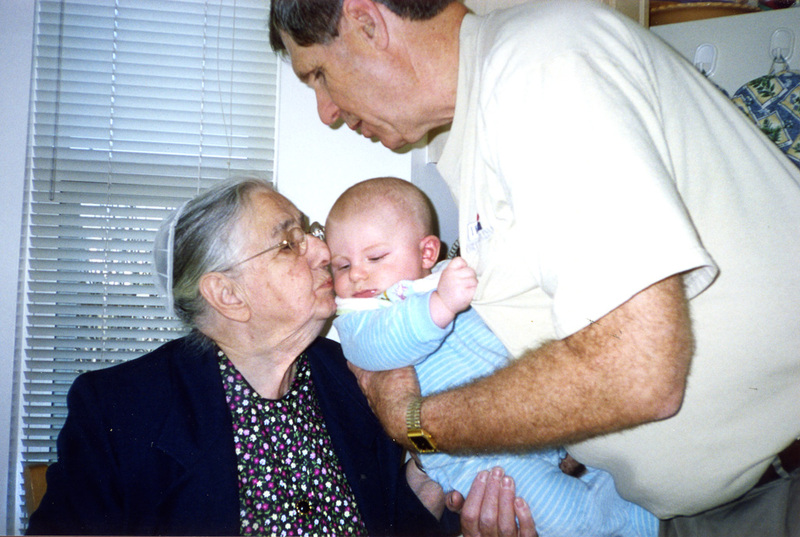 I love the picture o grandpa holding the new baby and grandma kissing him. Precious memories! Elfrieda, thanks for telling of your mother’s homegoing. I am convinced that as our loved ones make the transition, they catch a glimpse of what is to come – revelation during the transition! Beautiful memories Marian. Keeping you close in prayer this week! Oh Mariana. What a beautiful post of mom. I remember the time she came to Chicago I picked her and brought her to my house everyone came out to see her. We were so happy and she was too. I took her to my church. Everyone knew of her and then they got to meet her. She never told me she went to the Sears tower. That picture of her looking over the city: I can just imagine her thinking is this how it will be when I get to heaven. I can see everything from above. You have made my day with this lovely post. Probably no other reader knows Mother better than you do. I wonder if you took her to your church the same weekend she visited her baby grand boys. Don’t remember that. Thanks for posting today, Gloria. Yes it was at that same time. I picked her up from Pilsen at Joel’s apt and dropped her off at Crystal Lake at Christa’s house. We had a hard time finding Christa’s house. It was so nice to have her at the house. She loved seeing everyone on this side of the family. Memories are such a great thing to have. Thanks for filling in the details here. Most drivers didn’t have GPS then. Now finding Crista’s house would be a cinch except now it would be a long drive or flight. She lives in Jacksonville now. Have a nice weekend, Gloria. Marian — Always a good and glorious event, your post caused happy tears today. Thank you! You’re most welcome, Laurie! Tears are cleansing and release salt. I’m glad yours were happy tears. Hi, Anita! And thank you. 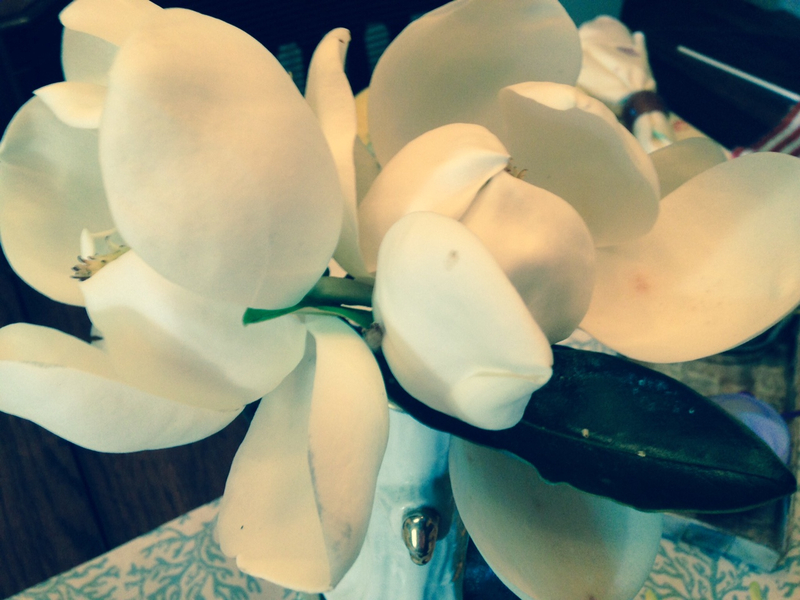 I appreciate your stories about relatives, especially the ones with secrets or quirks. I remember reading a few. Write on! Another of your lovely posts, Marian. You are so lucky to have had such a wonderful mother. I love that she sang with gusto, off key and and lived with purpose. She could be an example to all of us. My mother was not perfect. She was often short-tempered and impatient with us growing up – who wouldn’t with 4 kids! Yet she always had a strong faith and firm purpose as you point out. Lovely to see you and your puppy dog here in this corner, Joan. Thank you for knitting together several tidbits from the post in your comment here. You’re very good at that. My parents’ anniversary was October 26 and I was born the next year on July 24. Knowing that at a certain age I may do some calculation, Mother was ready with an answer, “Nothing happened before we were married.” Mennonites were presumed to be virgins when they married. I would assume your parents and/or grandparents (of the Brethren faith, right?) would have had similar moral standards. Thank you for stopping by again, Marylin. I know you are very busy. My Mum never went abroad either . How she longed to see oranges and lemons growing on trees … but it was always for the other . I gave her photos from my travels of oranges and lemons , even brought her a lemon back from The Amaphi coast but I never felt it was enough . You postings never fail to make me smile, especially the one about your Dad with the Deep voice. Ha! We saw lemon trees with gigantic lemons in our trip to the town of Positano on the Amalfi Coast. In the gift shop I bought 4 plates, blue and yellow, with images of lemons all over them. I’m taking them with me when we move in a few weeks. However, we will be leaving behind an orange tree, a bountiful grapefruit tree. My daughter gave me a lemon tree – very small now. Because it’s in a pot, I can take it with me. Whoever buys my home will be blessed with citrus! Maybe I can find Lee Marvin’s “I was born under a wandering star” on YouTube. The temps are in the triple digits here in Florida now. Maybe the thought of a star will cool me off. Thanks, Cherry dear! Now I know two other people who have lemony dishes from Positano – you and another Florida friend. Such a contrast between your mom and the city- a working definition of yin and yang! Nice to see grandma again, if only in pictures. Thank for being the man behind the camera – and, if I remember correctly, searching for a wheelchair. Big hugs for all of that, Joel! Your mother sounds like a lovely woman; I wish I could have known her! Like you and I, Mom liked the country life. Still, she bought lots of souvenirs, including a snow globe of the Chicago city scape. You got it right. 🙂 Luci is short for Lucinda. I haven’t thought of it that way, but it was indeed a culture shock for Mom. As I mentioned to Rebecca, she bought lots of souvenirs. I think she was proud of herself for having the courage to get out of her comfort zone and fly there (with flight attendant help). By the way, I appreciate your tweeting this post. How lucky I am to have loyal followers like you to “broadcast” for me – Thanks, Debby. Such a beautiful tribute to your mother, Marian. Thank you for sharing her faith with us. Elaine, I know your farm is requiring so much of your time now, but still you took time to read and comment tonight. Your notions of the afterlife are different from Mother’s and mine, yet you can relate to loss which we all experience sooner or later. Thank you! Thank you for stopping by my blog, Marian. I appreciate your taking the time to comment. I enjoyed reading about your mother. 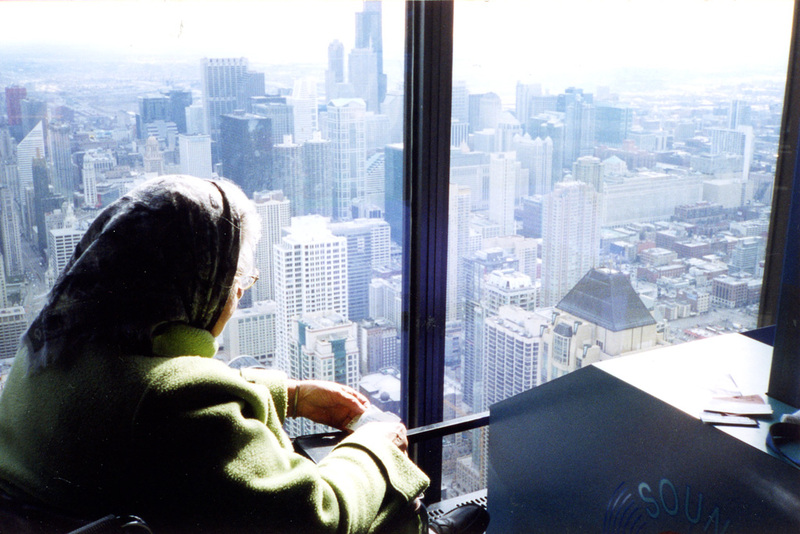 Such great stories and I especially liked the photo of her looking at the Chicago city scape. As a history buff, I took note of the book reviewed in your previous post about Louisa Adams. I am glad we knocked on each other’s “door” today and found someone home. With mutual interests in family and history on a larger scale, I’m sure we’ll find many more connections. Thank you, Karen. It seems so recently you lost her. It was about the same time we lost Commando Senior. Such sad times. Yes, conflicted feelings – It was over two years ago, but the memory is still fresh. At least the memories are sweet, a good thing. I hope you feel the same about your father-in-law. Thanks for stopping by here, Marie. I came by to catch up with you and found this wonderful post. The comment section really reflects how your gentle spirit, humor and knack for writing and serving it all up with interesting additions, brings and holds a special group of friends. Thank you for sharing your mother with us while she was here and sweet memories since she has passed. My heart is with you on this journey of memory and moving homes. I am so flattered/gratified/humbled by your kind words here. I know you are acquainted with loss too. So happy to count you among my special group of friends, Patti. Thank you!